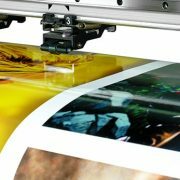 Not many printing services providers in India are adept at performing and delighting customers with archival printing. But with Prime Scan, you are in good hands. If you’re looking for museum-class quality fine art prints, we provide high-quality prints that are eye-catchy and will make it through the test of times. We are a leading name in the industry known for its flawless fine art reproduction of paintings using the best materials.